Innodisk has released a graphics adapter in an M.2 form-factor. The card supports resolutions of up to 1920×1080 at 60 Hz or 3840×2160 at 30 Hz and is designed for various ultra-compact and embedded applications that require industrial temperature ranges. The Innodisk M.2-2280 graphics adapter is based on the Silicon Motion SM768 controller, presumably with 256 MB of embedded memory. 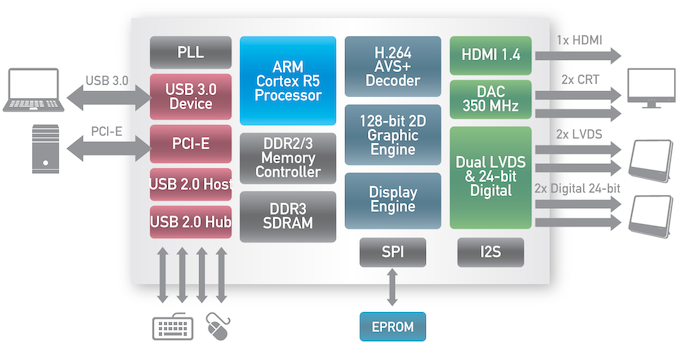 For outputs the card offers three headers for HDMI, LVDS, and DVI-D signals. 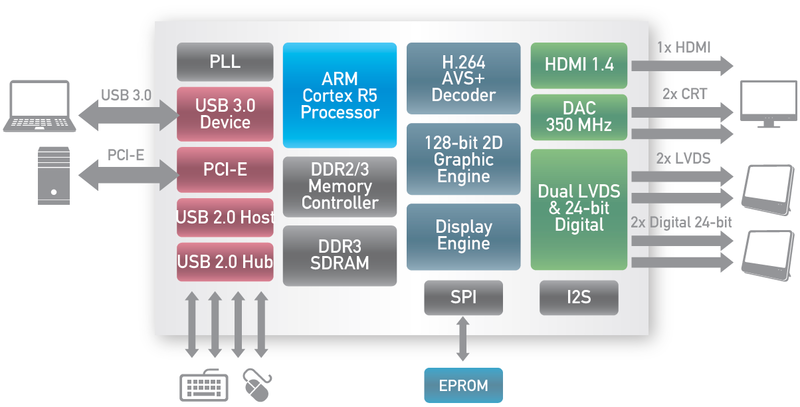 Under the hood the graphics processor has a 128-bit 2D engine, an ARM Cortex-R5 general-purpose core, a video decoder supporting a variety of formats (including H.264 MVC/AVS+, H.263, MPEG-4, MPEG2, M-JPEG, RealVideo, VC-1, & Theora), and a Content Adaptive Technology (CAT) engine for framebuffer compression. The SM768 can use a PCIe 2.0 x1/x2 or USB 3.0 interface, so it can support a variety of applications. Meanwhile, the version of the chip used by Innodisk can handle industrial grade temperatures from -40°C to +85°C. 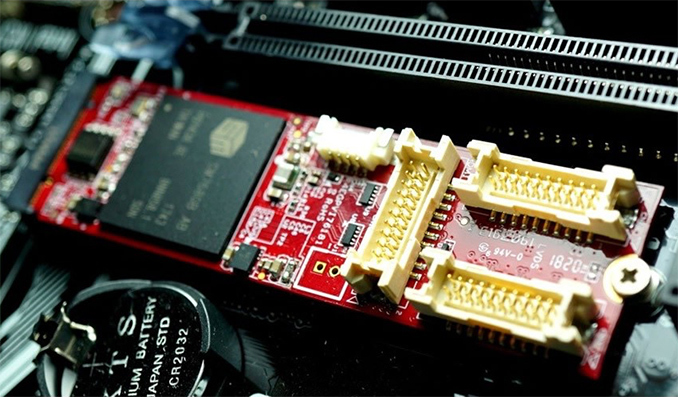 Innodisk’s M.2 graphics adapter can be used to add a display output to systems that physically cannot accommodate a graphics card and do not have enough connectors for monitors. Keeping in mind that such applications are pretty diverse and can run a variety of OSes, the adapter supports both Microsoft Windows and Linux-based operating systems. The manufacturer does not disclose MSRP of its M.2 graphics adapter, but companies do not usually reveal pricing of special-purpose hardware in general. The product is not listed yet, so it is unclear whether Innodisk can ship it straight away, or it will take some time before it polishes off its software. People have been connecting things other than SSD into M2 ports using all kinds of adapters and what not, so it is not surprising that they have decided to make this. "with 256 MB of embedded memory"